Whether by sating someone’s curiosity about the answer to a trivia question or fueling the fires of future research, Wikipedia often serves as Internet users’ first source of information. Given its worldwide reach and collaborative nature, the online encyclopedia is constantly changing as its users, “Wikipedians,” edit, expand, and eliminate information in pursuit of accuracy. But Wikipedia isn’t alone in this endeavor. Wikiversity, Wikipedia’s lesser-known sister site, allows individuals to create, edit, and disseminate teaching and learning materials to the public using the same accessible format as the Wikimedia Foundation’s original website. Since 2006, Wikiversity has been amassing resources on everything from learning Swedish to the basics of radiation astronomy and how to play a danso, a Korean flute. Now, APS Fellow Eric Youngstrom, a professor of psychology, neuroscience, and psychiatry at the University of North Carolina at Chapel Hill (UNC Chapel Hill), is harnessing a grant from the APS Fund for the Teaching and Public Understanding of Psychological Science to train students on how to communicate the science of mental health issues. As Hurricane Florence hits North and South Carolina, Helping Give Away Psychological Science (HGAPS) is giving away evidence-based information on disaster preparation, relief, and recovery. Information can be found on HGAPS’ Wikiversity page. The project uses Wikiversity as a platform to teach students how best to gather, critically evaluate, organize, and disseminate information about psychological science that may contribute to their understanding of clinical assessments and evidence-based evaluations down the line. As part of the information-gathering process, students create a portfolio of articles on clinical disorders and other mental health issues of their choice. While Youngstrom said it can be difficult to teach professional “content experts” — whose time is already at a premium — the skills required to edit Wikipedia articles, students’ and early-career scientists’ familiarity with the platform streamlines the content-creation process. His student collaborators have contributed to nearly 200 pages since the project began in 2013, in addition to creating a student service club at UNC Chapel Hill known as HGAPS (Helping Give Away Psychological Science). 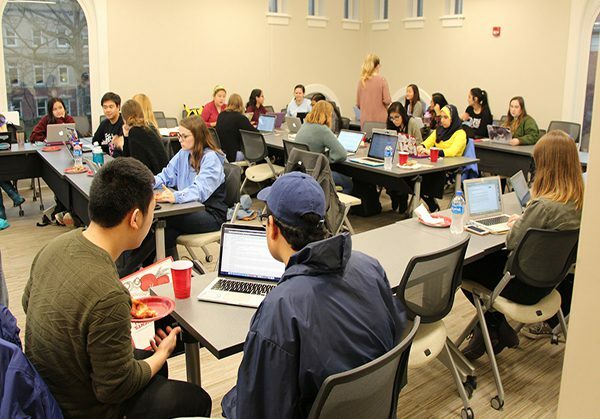 The club equips members of the student body with the technical skills necessary for Wikiversity evaluation and editing, pairs them with projects, and helps them connect with content experts in their field. The club now boasts more than 30 members and continues to contribute to Wikiversity as a nonprofit organization that hosts conferences and other networking events for students. The club has also established a nonprofit corporation, hgaps.org, to help support projects at other universities. 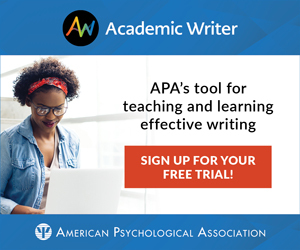 When the Netflix hit series “13 Reasons Why” sparked a conversation about adolescent mental health, for example, HGAPS partnered with psychological scientist Kurt Michael and students at Appalachian State University to create an evidence-based lesson plan designed to tackle topics such as suicide, sexual assault, and cyberbullying as each issue emerged in the series. Similarly, in the aftermath of the Parkland, Florida, school shooting that left 17 students and staff members dead in February of 2018, HGAPS members banded together to create a package of tools and resources for those affected by the attack. This included links to psychological first-aid resources such as how to find a therapist and post-traumatic stress disorder screening tests, as well as a page on local mental health professionals. HGAPS efforts have been met with some obstacles, however. While peer-reviewed articles in high-impact journals are regarded as good-quality sources by psychological scientists, the Wikimedia Foundation’s policies don’t always support the use of such primary sources, causing many students’ edits to be rejected by editors. Youngstrom said he has been working to bring this issue to Wikipedia’s attention and hopes a wider range of scientifically supported sources will be permitted in the future. Going forward, Youngstrom and his students hope to create, evaluate, and edit pages on methodology, actigraphy data, and other technical tools for public use. Additionally, they are developing a plan to keep alumni engaged with the project, especially if they go on to pursue graduate degrees in STEM, becoming content experts themselves. Youngstrom said he hopes that HGAPS’s success will encourage educators and other members of the scientific community to consider the pedagogical possibilities of Wikipedia and Wikiversity. HGAPS documentation is available on the Open Science Framework and at hgaps.org so other universities can use it as a template to create their own Wikiversity groups. I am extremely proud of all that HGAPS has done, and grateful to be working together!